The Many Faces of Treasure Hunting! Treasure Hunting Stories & Tips! THE COLOR OF GOLD IS: CHANGING! Changing to the color of---- toy lead soldiers, diecast toy cars, aluminum and brass tokens, plated toy rings, antique bottles even common painted steel bottle caps are sought after by some collectors! I recall from my early days of metal detecting just how it felt seeing that unmistakable round 'coin shape' in the ground. I would lift the freshly detected object from its earthen grave and brush the loose dirt away --- how disappointing to find nothing more than a stupid token---- DARN! How things have changed! Today the "average token" out values the "average coin," not to mention the token is far more interesting! Oh, and how about those toy rings! Remember how you handled those gold ring finds so gently yet 'tossed' plated toy rings into that box of interesting ' junk'? Perhaps you can recall giving a "Mickey Mouse" ring, to the child who followed you all over the beach, just because he or she was so cute? Do you realize the biggest, best diamond, ruby or sapphire ring that you find mounted in a huge slab of gold won't even come close to the value of a $100,000 toy 'Super Man Club of America' toy ring! We need to learn all about the new and many faces of treasure hunting! SOME 'QUICK-READ' TREASURE HUNTING ADVENTURES! FIRST ONE IS NEW AND IMPORTANT! 4. TOUCHING RING RECOVERY STORY! 5. TRAPPER SAVED BY ROOT-CELLAR! WINTER ADVENTURE! 6. RICHLAND MICHIGAN BANK ROBBERS ESCAPE BY RAIL! 8. BURIED LOOT! HUGE SILVER CACHE RECOVERED! 10. CONCTRUCTION SITE TREASURE, CHANCE OF A LIFETIME! 11. TOM OUT-GUNS THEM ALL, AND FINDS THE LOST RING! 13. EARLY FUNERALS or HOW TO DO YOUR OWN AT HOME! 15. BETTER FINDS AFTER SUNSET? HERE IS WHY! 16. TREASURE HUNTERS CHILI! THE BEST STUFF EVER! 18. ANOTHER GREAT GHOST SHIP STORY "NORTHERNER"
20. TWO FOR THE PRICE OF ONE! RETURNED RING STORIES! 21. METAL DETECTOR RENTAL ADVENTURES! 24. BLOCKER'S POND, SWIMMING HOLE TREASURE! 25. TOY SAFE FILLED WITH TREASURE! 26. TWO HOURS WITH FIRST DETECTOR = FIRST CACHE! 30. CONSTRUCTION GOLD CACHE FIND! 35. TRACKING A KILLER PART 3 aka AWARD NIGHT! 46. MORE TREASURE HUNTING SECRETS! 53. VETERANS, AMERICA'S GREAT TREASURE! More to come. . . bookmark and check back! Whether coin and relic hunting with a metal detector, or digging a privy for antique bottles, it is natural to start asking questions. The most common one is "What is this?" " How did this get here?" . . . . .
"What was this product?" . . . . .
"What were these used for?" . . .
<> Of course, for some the first question is always, "I wonder what this is worth!" If your first and main question is 'What's it worth?' you are missing the real thrill that is hidden in treasure hunting. There is a treasure that can be found in the treasure itself if you look deep enough. Take for instance this beautiful 1803 large cent. 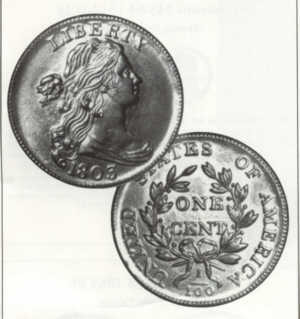 After you detect it, do you run off to find the value in your coin book , and then, are you looking for a buyer? If so you are missing the real joy! Take some time out! Think about your new found connection with the past. You are the first person to handle this coin in perhaps 150 years or more! Who was the last person to hold that coin? Look around you ----- how much has the landscape changed since this coin was lost? Just think, the last time this penny saw light of day Thomas Jefferson may have been the President! The terrible Civil War still lay in our country's future. And what about the early settler family, what did the loss of this coin mean to them ? To help us understand the value of the penny in the early 19th century let's think about the little book pictured above. The Memoir of Susan B. Marble was part of a 100-volume library of books printed by the American Sunday School Union in the 1820's. They were proudly promoted as the "CHEAPEST SUNDAY-SCHOOL LIBRARY EVER PUBLISHED!" The one hundred books sold for $10.00. The publishing of this book was no simple task. The printing press used was much like the one used by Ben Franklin in the mid-1700's. Each printing plate was loaded and inked by hand. After the pages were printed the book was bound together by hand stitching. Books were many things to the early settlers. They represented schooling, entertainment, and a sense of contact with the world. As a result, books, were considered very precious and were often read and re-read many times. This little book was the treasured possession of a young boy or girl. It is the touching, true story of young Susan Marble. Susan was a new 'convert to Christ', who wanted so badly to be baptized. Twice a date was set for her baptism in the winter of 1820-21. Each time the special event she longed for was postponed because of the terrible Connecticut winter storms. Finally on the day that she was to be baptized, Sunday, the 4th day of February, 1821, in her 14th year and before baptism, her Lord called her to his side. This little book was purchased for ten of those big pennies and was dearly treasured. At some time the little book's cover was torn ---- it was promptly mended. Scotch tape was not invented yet so the owner carefully stitched the tear with a needle and thread. 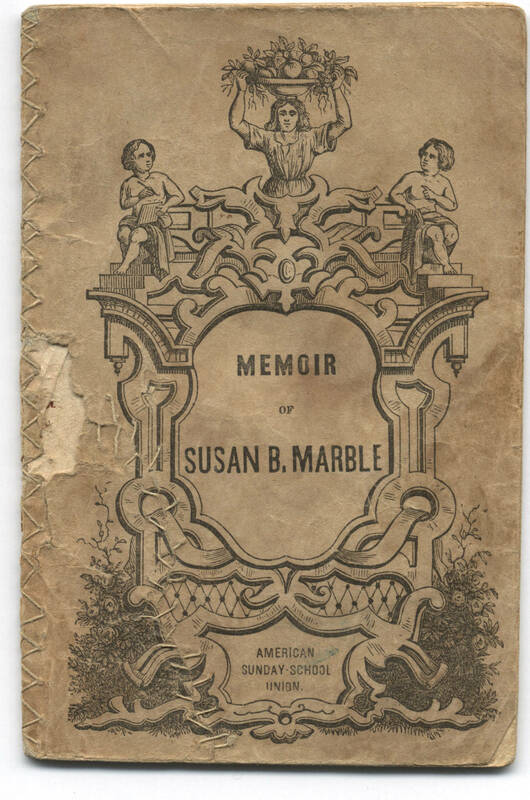 Here are the Susan Marble memoirs just as they were first written in the 1820's. Susan discovered the greatest treasure ever! Greater than chests of gold! Greater even than Solomons Treasure. Hidden here is a map to the treasure! MAP TO SUSAN MARBLES TREASURE! FIRST BAPTIST CHURCH OTSEGO -- HISTORY! THE FIRST YEARS! 2002 TREASURE FIND OF THE YEAR! PROSPECTING EQUIPMENT, ADVENTURE BOOKS, COLLECTOR GUIDE- BOOKS! DOZENS OF METAL DETECTORS IN STOCK! SERVICE, SALES, RENTALS, NEW, USED, ALL BRANDS! THE INSIDE OF MICHIGAN'S TREASURE SHOP! TOUR THE SHOP, CLICK HERE! RECENT GREAT DETECTING FINDS FROM MICHIGAN! YOU NEED TO CHECK THIS OUT!! !